At Elite Chiropractic & Massage, we take great pride in providing the finest chiropractic care to each and every patient. We have included information below about the different chiropractic services offered in our Kennewick chiropractic office, but please call us at 509-736-5456 if you have any questions! We provide advanced spinal correction and chiropractic adjustments utilizing "state of the art" chiropractic techniques. Never in the history of chiropractic care have chiropractors been able to provide the level of help and expertise that is available today. Many of the newest chiropractic techniques are actually safer, more comfortable and more effective than ever before. As chiropractors who care about utilizing the most advanced chiropractic techniques, Dr. Brown, Dr. Mathews and Dr. Howell have years of training, expertise and experience in helping patients get pain relief for back pain, neck pain, headaches, and other related conditions originating from the spine. Chiropractic care under a trained professional can even be used to prevent injuries and help you achieve total health or wellness. For many foot problems, the answer is proper foot support. 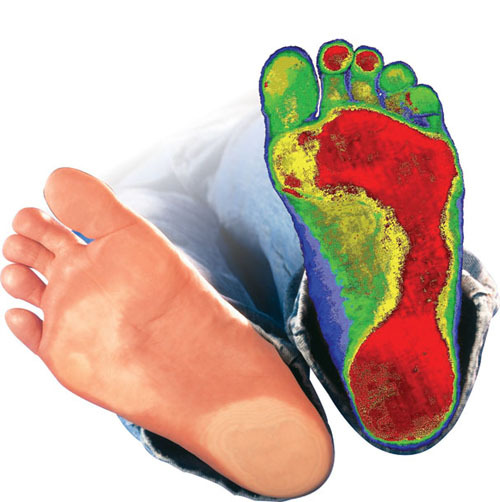 So why custom orthotic insoles? Would you wear eyeglasses that weren’t prescribed for you? Or take an over-the-counter drug for a problem that requires a prescription drug? Of course not! That is why Dr. Brown and Dr. Mathews fit our patients with Foot Levelers custom orthotics. Unlike generic, over-the-counter orthotics, Foot Levelers are individually designed for your unique postural problems — not just problems with your feet. Correcting imbalances in your feet can not only improve conditions like plantar fasciitis, but help properly align your spine and pelvis as well. At Elite Chiropractic & Massage, we teach our patients how to perform special "blueprint" exercises which can help strengthen and correct the irregularities in their body which may be causing pain. Many of these corrective exercises can actually be performed in the comfort of your own home to help improve the effectiveness of your chiropractic care and spinal correction plan. In addition to skeletal misalignment, you may be experiencing pain that is caused by muscles and connective tissues which are out of their proper place. Other types of pain such as back pain, neck pain, and headaches are caused by muscles and tissues that are being used improperly, causing injuries over time. In each case, targeted corrective exercises and stretches from our experienced chiropractors will help you feel good while also helping your body achieve balance and health. Many of our patients come to see our chiropractors to address a specific pain symptom such as back pain, neck pain or headaches. While our doctors will address each patient's specific condition with chiropractic care, we often find it helpful to "coach" our patients towards achieving a healthier lifestyle. For example, there may be certain activities that you should avoid or do differently to prevent yourself from unintentionally aggravating your particular health challenges. The goal of including lifestyle advice with a chiropractic care plan is to help each and every patient achieve the fulfilling and happy lifestyle they deserve, one that is full of the activities that are enjoyed most. We recognize that every single one of our patients is a whole person, and we use our expertise to help them reach total health and wellness. What does nutrition have to do with chiropractic care? The goal of chiropractic care is to help patients achieve total health and balance with their body, and as part of that goal we provide specific recommendations on nutritional supplements and healthy food choices. Nutritional counseling by our experienced chiropractic health professionals can assist a patient on their return to optimal health. Do you know which supplements and vitamins are good for you? Do you know how these supplements and vitamins interact with one another? At our Kennewick chiropractic clinic, we can provide each patient with a structured nutritional program that is based on their individual needs.